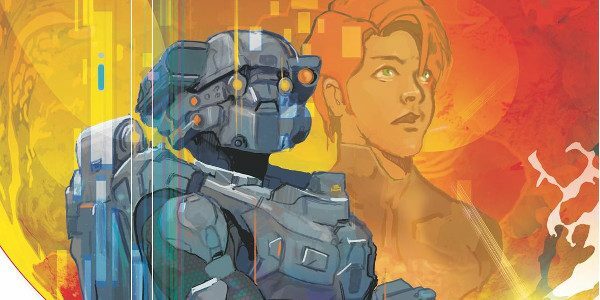 For the past five years Dark Horse Comics and 343 Industries have worked together to bring fans exciting and intriguing stories to expand the Halo® universe. Now we’re ready to deploy a new mission starring Blue Team’s Spartan Linda-058 in pursuit of a rogue UNSC scientist! Halo: Lone Wolf follows Spartan Linda-058 alone on a covert mission. Her skills in infiltration and marksmanship make her perfect for the high-stakes mission to end the threat posed by a wanted scientist on a distant planet. With only an ONI assigned AI at her side, Linda must fight through both the dregs of the Covenant and the hostility of a lost human settlement to stop the rogue scientist in his tracks. The newest entry in the Halo comics franchise is written by Anne Toole (Stargate SG1, The Witcher) with art by Kieran McKeown (White Canvas) and JL Straw (Back to the Future), colors by Dan Jackson (Buffy the Vampire Slayer, Call of Duty: Zombies), and covers by Christian Ward (Quantum Age: From the World of Black Hammer, Young Avengers). Halo: Lone Wolf #1 (of four) goes on sale January 2, 2019, and is available for pre-order at your local comic shop.